I am a songwriter, too! Do you want to make a great song? 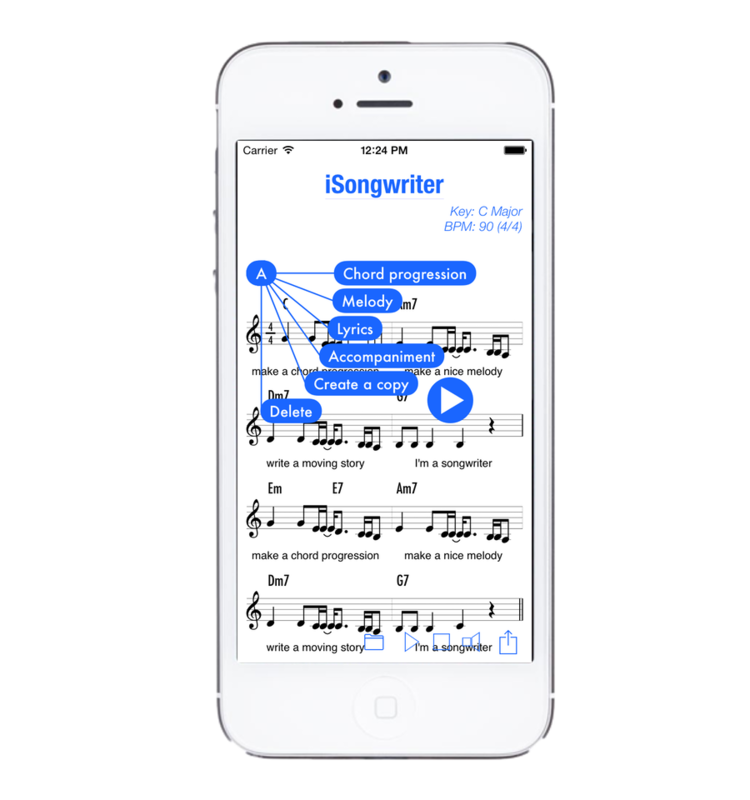 Create your own song using iSongwriter. With a little musical knowledge, you can create an awesome song. 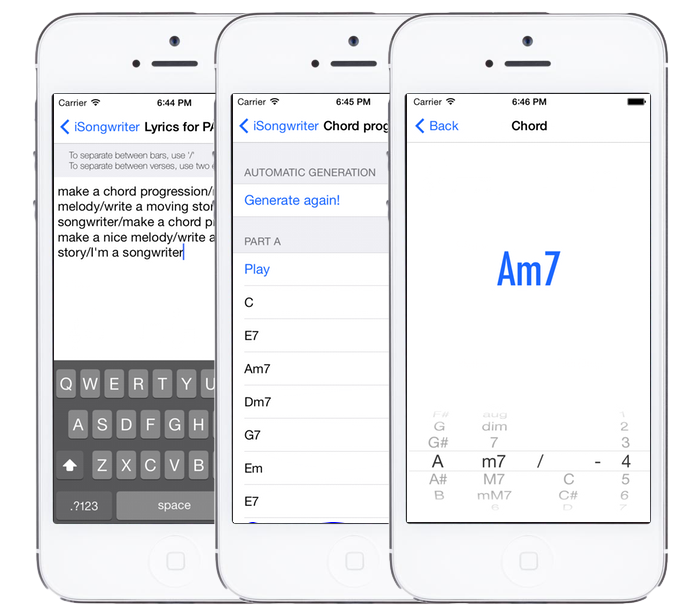 It will automatically generate chord progressions suitable for part A, B, and C. Also you can edit chord progressions. Write your lyrics for the melody. Please complete your song by specifying the order of parts. and repeat your parts. 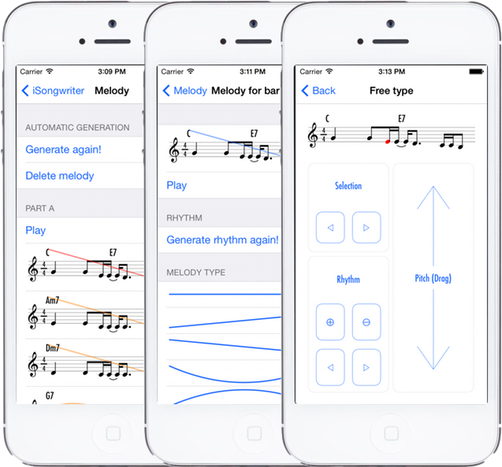 You can edit key, tonality, time signature, and tempo. 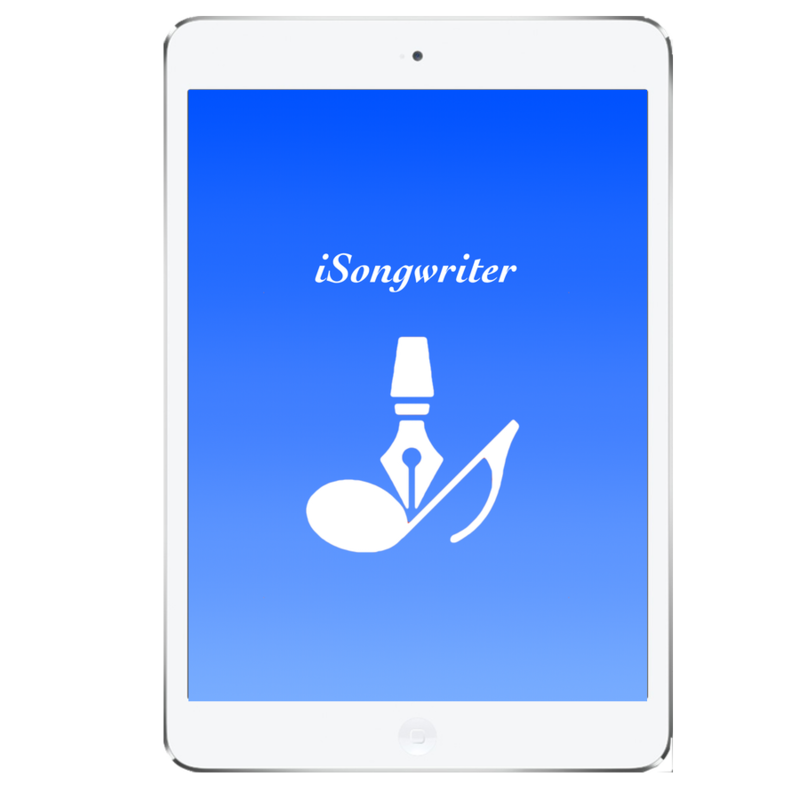 Share your songs and collaborate with other peoples in the iSongwriter's forum. You can export your song to a MIDI file. 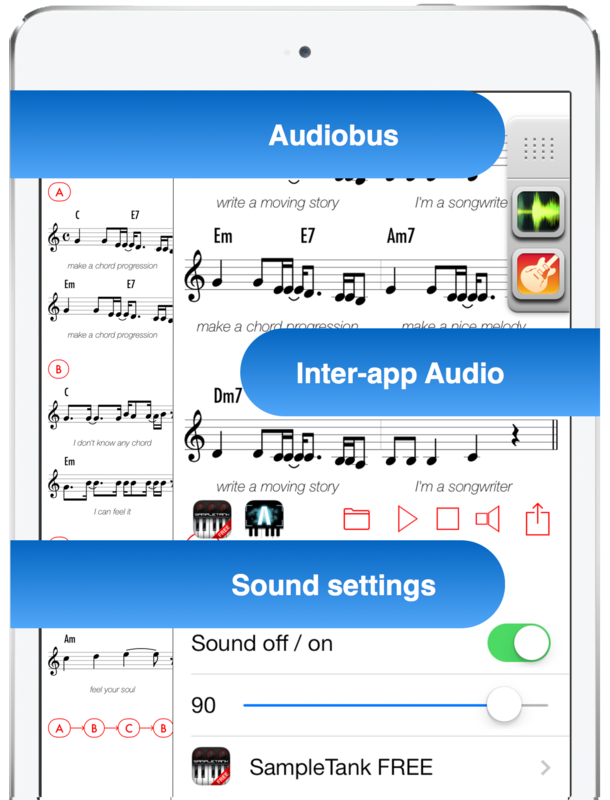 also you can export to the sheet music as an image. 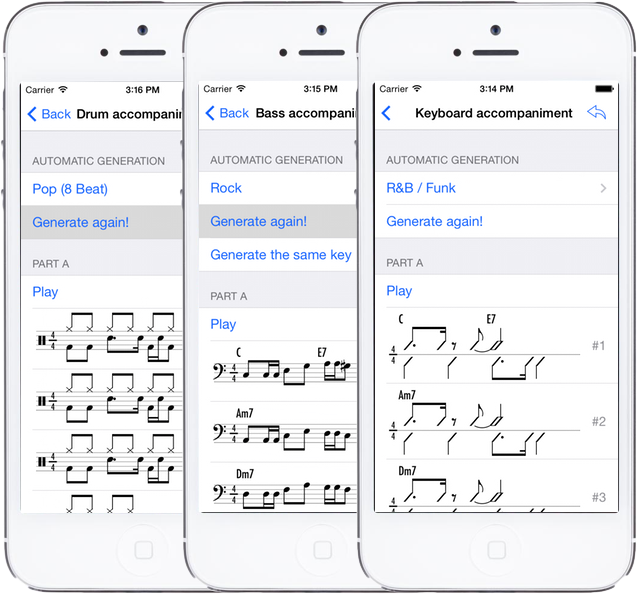 By selecting the genre of the song, you can automatically generate accompaniment pattern for keyboard, bass, and drums. You can buy more accompaniment patterns through in-app purchase.